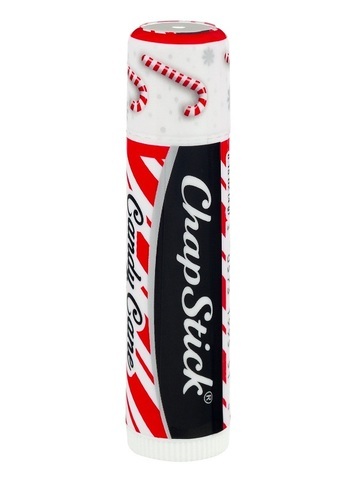 This ChapStick Candy Cane helps to soothe and heal chapped lips. It comes with an irresistible classic flavor. 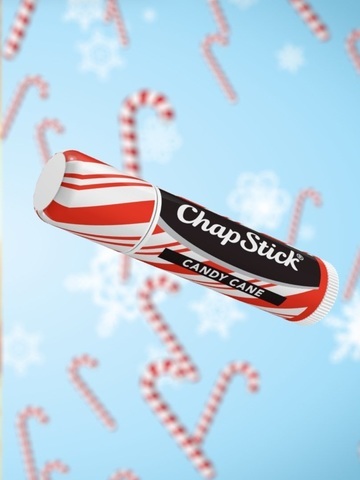 The Candy Cane lip balm leaves lips soft and supple and protects to keep them feeling smooth everyday. It comes in a limited edition three-pack that is sealed for protection. This balm seals in moisture with a delicious flavor. Petrolatum, Paraffin, Mineral Oil, Octyldodecanol, Flavor, Bis-Diglyceryl Polyacyladipate-2, Arachidyl Propionate, Phenyl Trimethicone, Beeswax, Copernicia Cerifera (Carnauba) Wax, Isopropyl Myristate, Ethylhexyl Palmitate, Cetyl Alcohol, Titanium Dioxide, Methylparaben Saccharin, Propylparaben, Alumina, Polyhydroxystearic Acid, Silica.